We provide specialised sealing solutions for hard floors. There are so many sealers on the market today it can be confusing to know which sealer is the right one for your tile. Which one will work, Which one won't, Which sealer is the best one for your situation? And, how do they differ? A sealer is a liquid applied to porous Natural Stones and other materials such as concrete and even tiles to help prevent staining from water and/or oil based materials. A sealer reduces the natural absorbency of a stone. One type of sealer sits on top of the stone and coats it. This type of sealer is called a Topical Sealer. The other type of sealer is absorbed into the stone and protects it from within. This type of sealer is called a Impregnating Sealer (also known as a Penetrating Sealer). Sometimes a Topical Sealer is referred to as a Coating because this is exactly what it does... coats the surface of your stone with a protective barrier. It's a layer or thin film sitting on top of your stone. 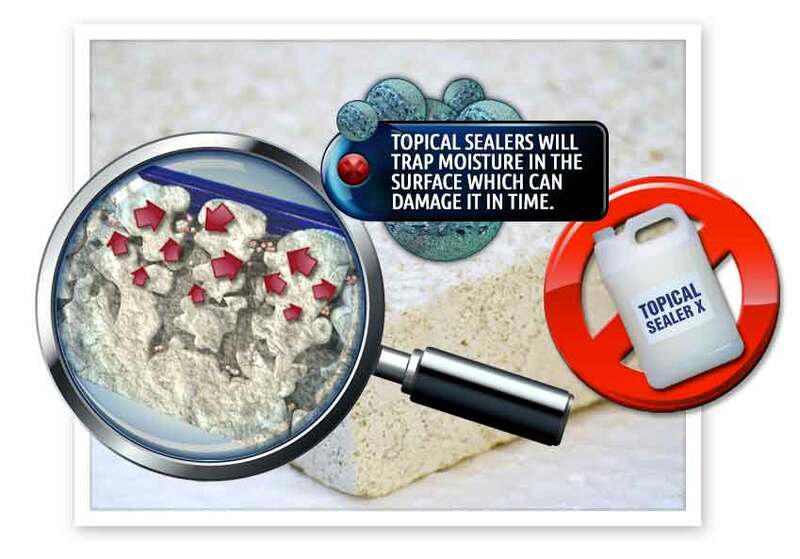 Topical sealers are either removable (stippable) or permanent. Removable coatings are designed to easily be stripped from the surface of stone and are usually water based. Most strippable coatings are NOT designed for stone, However nowdays there are high quality water based sealers available for stone. Permanent Coatings are very difficult to remove and are usually NOT designed for stone either. 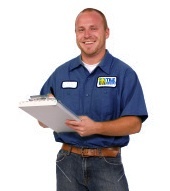 It's important to ask an expert to determine which particular Topical Sealer is safe for use on your tile. What will a topical sealer do? It will help prevent your tile from scuffing, scratching, staining, and marring, the sealer will scuff and scratch instead. The downfall, since the sealer is softer than your stone, it will scuff and scratch pretty easily. This means they are short lived and frequent reapplication is necessary. Before reapplying, the old sealer needs to be removed and frequent stripping can damage your tile. If you don't remove the sealer before applying a new coat, eventually it will build up and cause your tile to have an unnatural wavy or plastic look. This is called stripping the sealer. Bottom of the barrel topical sealers may turn your tile a yellowish color, especially when exposed to UV light. They can change the appearance of your tile and may react adversely to heat and acids. Topical sealers are usually easy to apply and less expensive than impregnating sealers. Some add additional shine to your tile and even add slip resistant properties. But, the need to frequently strip and reapply, burnish, or buff should be taken into consideration as well as the location of your tile. 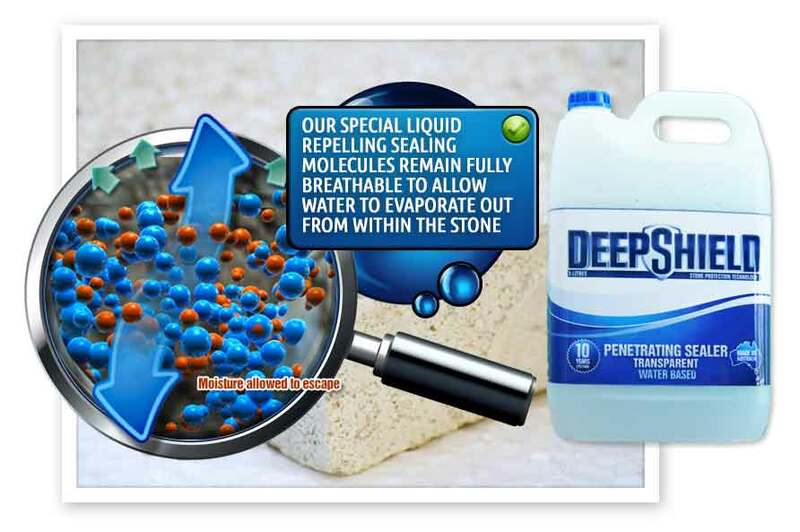 Impregnating sealers are safe for stone and recommended. They sit below the surface of your tile and deposit solid particles into the pores of your stone to coat the individual minerals below. There is no need to strip the old sealer before reapplying, most aren't affected by UV light, and high quality sealers do not require frequent applications. In an impregnator type sealer, the "active component" is either a natural or a synthetic resin. This resin is melted into a liquid solution with a mineral solvent or with water. The sealer is absorbed by the stone. The mineral solvent or water (this carries the resin into the stone) evaporates. The resin is left behind, solidifies, and clogs the pores of the stone so that it cannot absorb anything else. What Sets Impregnating Sealers Apart? Is it a solvent or water based sealer? A solvent based sealer is absorbed deeper into the stone but they have a very strong odor and are trickier to apply. There have been a few reports of solvent based sealers reacting negatively to stones that have a factory applied resin. It's always safest to test a scrap or small out of the way area first. Solvent carried impregnators are excellent water repellents. A water based sealer is easier to apply and safer to handle as well as safer for the environment. Water carried impregnators are excellent oil repellents. Does it repel water, repel oil, or resist oil? Not all sealers work the same. Some sealers just repel water. These are called Hydrophobic. A hydrophobic type sealer repels water based liquids such as coffee, soda, and tea. Sealers that repel oil are called Oilophobic. An oilophobic type sealer repels oil based liquids such as cooking oil and grease AS WELL AS water based liquids. An oilophobic sealer will always repel BOTH oil and water based chemicals whereas a hydrophobic sealer doesn't always repel oil based chemicals. Some impregnators are oil resistant while others are oil repellent. Is there a difference? YES! Oil resistant sealers slow down the absorption of oil into the stone whereas an oil repellent sealer prevents oil from entering the stone. How often does the sealer need to be applied? Some sealers need to applied every year, some every 3- 5 years, and others 10 years plus. This will depend on the type of resin used. The type of resin used is the most important factor because this resin is left behind to do the work. Porcelain tiles vary greatly in quality and type. Unglazed and profiled: Some of these tiles will benefit from sealing depending on the porosity of the tile, or in other words, how porous the tile is. As in all situations these tiles will need to be tested for sealing. The main benefit of sealing these tiles is the ease of cleaning after sealing. They will require only a minimum of maintenance after sealing although some outdoor tiles may stain from substances such as leaves, soil and rust if not cleaned immediately. Some tiles are commonly known as vitrified and they usually belong under the porcelain tile banner. 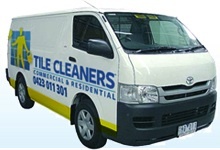 These tiles are commonly used in commercial areas including outside and toilet areas. They are noted for their non slip properties but are very hard to clean and keep clean. Most of these tiles cannot be sealed effectively for long term positive results. The process of polishing opens up the tiny clay pockets of the tile which will accept stains and therefore need to be treated with a special sealer. The sealer impregnates and lines the small cavities, prohibiting the penetration of stains. Penetrating sealers do not generally alter the appearance of polished porcelain products since they are designed to only fill the microscopic pores and not coat the tile, nor should they affect the slip resistance of the tile. Some porcelain tiles come pre-sealed from the factory. This has presented problems in the field as the sealers do not seem to have consistent characteristics. These tiles can generally still be sealed with quality known products. All stone tiles should be treated carefully during the installation process and should be sealed as they can easily be stained by a range of substances. The sealing scan be completed after the tiles have been laid or when construction is complete. Terracotta, slate and pavers are common products which require maintenance. This maybe a top up seal or it may require all the existing sealer to be stripped, bringing back the natural beauty of the tile, then re sealed. Tile pre-sealing and sealing provide the customer with excellent value for money by being pro-active in long term tile care and maintenance. We only uses quality products which will enhance and protect your quality tiles.